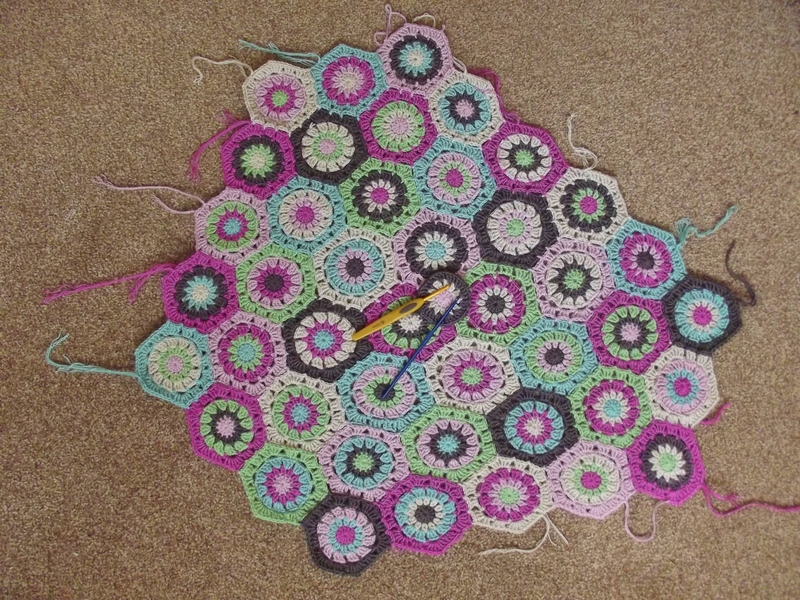 I am still having problems with my joints, which has limited the amount of craft I can cope with – my knees complain if I spin for too long and my hands don’t cope with knitting needles very well. 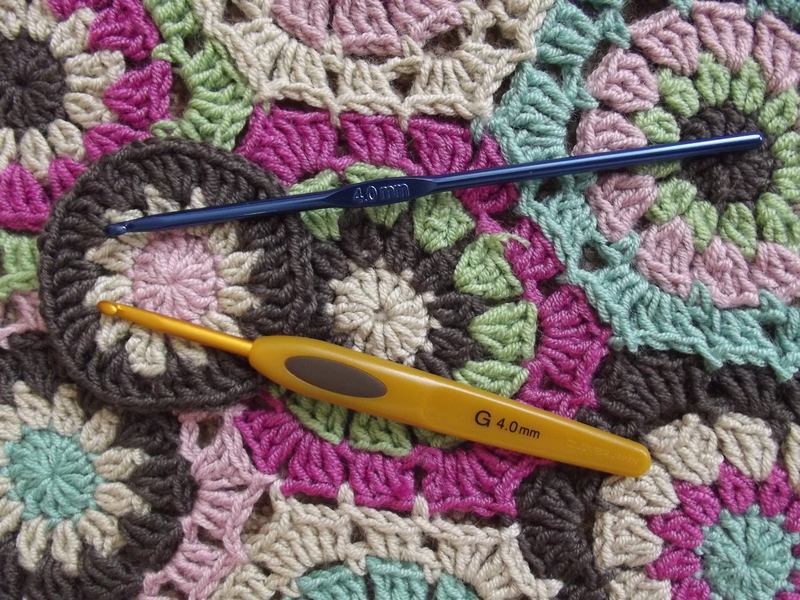 I have fallen back on crochet and found I can manage that, especially as I treated myself to a new Clover hook which is shorter and chunkier to hold than my normal metal hooks. Whilst in shopping mode, I also made the mistake of visiting the Kemps website and a few bargains just sort of fell into my basket… I am using Twilley’s Freedom Gorgeous DK yarn, which is a bamboo/nylon mix to crochet hexagons to make a blanket, which gives me some sense of achievement as each finished hexagon feels like I have completed something! At first I thought it would be a disaster because it is a four ply yarn and looked as if it would be rather splitty, but it didn’t turn out to be that much of a problem.